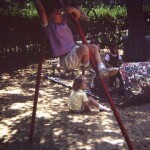 Come explore our Natural Playground! Take a look at our newly completed Natural Playground! 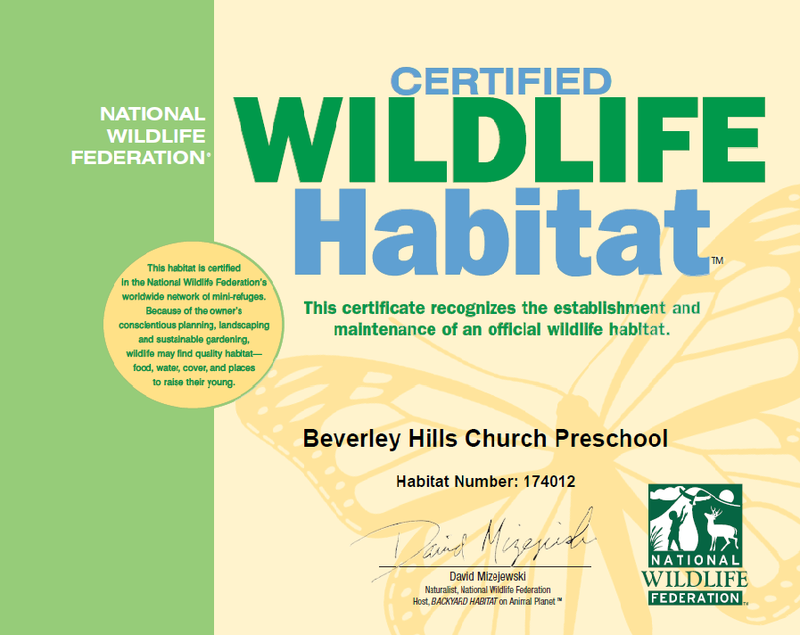 We obtained the Wildlife Habitat Certificate! 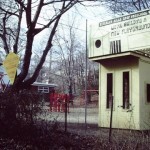 Check out some of the pictures of the demolition that took place. Our “castle” is gone but we have plenty of exciting changes. 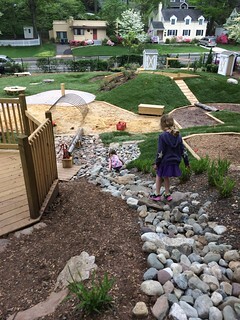 Our new naturalized play space contains features sure to delight and inspire children and families for years to come, just as the castle playground did for the last three decades. 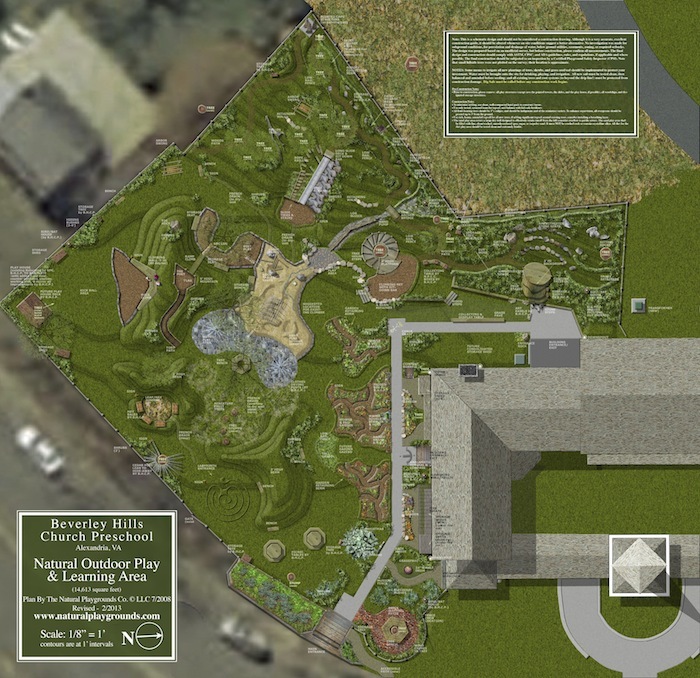 We are excited that there is an amazing new natural space for the children in our community. 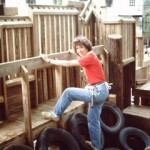 If you’ve ever climbed trees, made forts, climbed rocks, made mud pies, dammed up water, dug in sand, jumped in leaves or had fun outside in other similar ways, you’ve experienced natural play and absorbed many life lessons to boot! 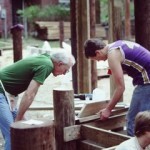 A great play space helps create timeless and meaningful experiences for the children of our community. 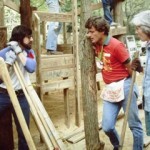 From the early days . . .
. . . to the castle construction in 1984 . . . 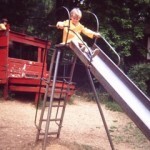 Please support the playground maintenance fund with a tax-deductible donation today!